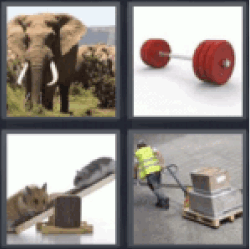 4 pics 1 word big elephant. Dumbbell. Rats on scale. Man pulling boxes.